Weed control in your grass probably feels like a never-ending chore. No matter what you do, every time you open your front door, you spot more weeds. Those pesky pest plants have adapted ingenious methods of spreading their seeds and thriving in harsh conditions. The trick to getting rid of them is to think one step ahead, and your lawn will eventually be weed-free and healthy. 1. Pulling weeds by hand is tedious, but effective. If your back can take it, then yanking those suckers out is a quick way to improve the appearance of your lawn. Plus, you will have the immediate satisfaction of gazing upon your weedless yard. However, this does nothing to prevent weed seeds from germinating. And there are probably plenty of tiny weeds just starting to grow under the grass line, which you’ll have to go back and pull out next week. To improve your hand-weeding results, pull weeds when the lawn is wet and use a blade to slice through stubborn roots. You probably already apply mulch to your flowerbeds because you know it locks in moisture and prevents weeds from sprouting. But did you know that you can mulch your lawn too? The mulch texture and techniques used on lawns is different, but the outcome is the same. Finely shredded grass clippings and leaves will keep your grass roots moist, shade the weed seeds, and provide your grass roots with a boost of vital nutrients. 3. Choke those weeds out. Many people are surprised to learn the best weed defense is actually a healthy, thick lawn. It’s a sort of “chicken or the egg” scenario because the goal of weed control in grass is to help the lawn become healthier. But when grass plants are healthy and close together, they choke out the weeds all by themselves. Their shade prevents weed seeds from germinating, and their strong roots soak up all the water and nutrients before the weed plants can get to it. Most Atlanta-area homeowners want to be able to enjoy their yard nearly year-round. That means lawn care needs to consistently be a part of your home maintenance schedule. If the thought of staying on top of fertilizing, mowing, and weed control in your grass year-round feels overwhelming, then perhaps it’s time to consider bringing in some help. 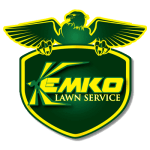 Kemko Lawn & Shrub knows everything about Atlanta’s common turf types. We keep strict maintenance schedules for our clients to make sure they have the greenest, thickest lawns on the street. Our landscaping teams know the best times and techniques for fertilizing, aerating, trimming, and all the other important tasks that go into a great lawn. 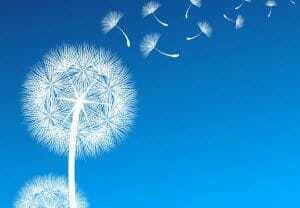 Click to request a free estimate for weed control in your grass.